We all know taxes are a necessary part of our lifestyles. We need schools, emergency services and government. 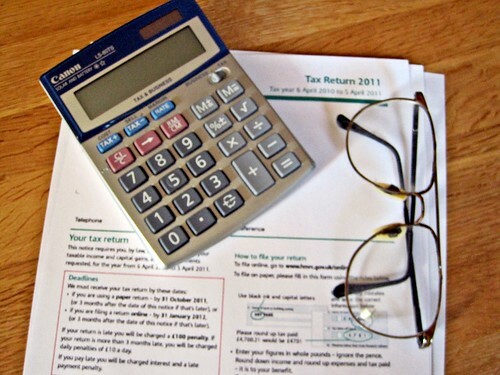 What we really don’t need as small and medium business owners is a comprehensive tax audit. Tax audits are a very lengthy and involved process, which usually calls for the services of a professional, so if there is any way to avoid being highlighted as a company that requires such an inspection, you can be sure your profits and costs will benefit from taking the appropriate action. 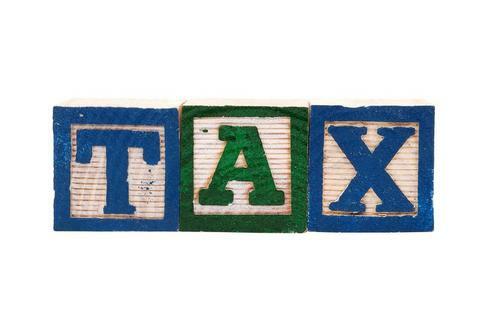 Here are 5 top tips to help you avoid becoming one of this year’s tax audited companies. Tax returns with calculation errors or prices of information missing will immediately flag you up to the tax authorities as someone who needs some help and an inspection. Make sure whatever you declare on your tax return can be easily matched up with what you have filed on PAYE or any other payroll system you are using, and be sure to fill in the form legibly, as forms the computer can’t understand will automatically be sent for checking. Whether you loaned the services of an employee to a business associate for a week, or sold your old computers on eBay, all these incomes should be stated on your tax return whether you deem them to be important or not. Similarly if you had capital in the bank that was accruing interest, or got paid on dividends during the last financial year, the best strategy is just to declare it all and then there is no grey area to investigate. If you suddenly have an abnormally high income compared to last year, or even a really low one, this can raise a red flag to authorities and instigate further investigations to be made. If you have genuinely had a very different year to last year, then this just has to be swallowed and the potential for a full tax audit has to be dealt with, but if you are reporting an unusual income because of miscalculations or omission of some expenses, this should be easy to fix. Of course you are entitled to the usual tax deductable expenses, whether these be cars, equipment or sustenance. However, be aware that if these deductions run to several pages of listings you will invariably be investigated by the auditing authority as this can highlight a potential problem to them. You can’t help working for yourself; indeed it is a commendable achievement. However, it does put you in the firing line for a tax audit, so make sure you have all your books in order all year round, so that audit time is not a stressful experience for you. If you have a small business that continually shows losses, the tax authorities may well start investigating deeper, so make sure anything you have put down as expenses actually is an expense relating to the business. Most people do not need professional tax preparation. The internet has taken the anguish and arithmetic out of filing tax returns. Using just the information from their W2 forms, approximately two-thirds of working Americans can complete and submit IRS form 1040EZ. One form, about a dozen numbers, a little addition and subtraction, and the process is finished. Most people also can speed-up delivery of their refunds by requesting direct deposit into their bank accounts. Only in extreme cases do people need expert advice and counsel. TurboTax and TaxCut make tax preparation relatively simple for almost everybody, and you can deduct the software’s cost from next year’s return. Even if you believe you eventually will get professional help, let the software guide you through the process of completing the forms, schedules and calculations. If you have last year’s return and all this year’s tax statements right in front of you, you have everything you need. The machine will ask questions and tell you what to do; the help files will answer all but the most arcane questions. About 90 percent of people who use high-end TurboTax and TaxCut programs end up e-filing unassisted. If even high-powered software cannot save you, call a qualified professional. Before you meet with your tax adviser, write out questions based on your do-it-yourself experience. Your questions and concerns will guide your expert to issues that require his special attention, and his answers to your questions will teach you what to do next year. you did not file last year. Although the IRS may not catch up with you for several years, delinquent returns and payments eventually will attract agents’ attention, and they have the power to freeze or seize most of your assets and property. Even if you cannot pay overdue taxes, file returns and begin the process of negotiating for relief. The IRS regards delinquency as criminal activity, but agents respond well to displays of good faith. you were audited last year. You have attracted agents’ attention. Now that they know you, agents will continue paying attention until they feel satisfied you have complied with every title, subtitle, section and code in the tax laws. Have a professional complete your return not only because it assures the document’s accuracy, but also because the professional can represent you in further discussions with tax officials. you have an “Offer-in-Compromise” in effect. An “Offer-in-Compromise” dramatically reduces a delinquent taxpayer’s IRS debt, and it protects his assets and property from seizure. If the IRS agreed to settle your debt for substantially less than you owed, you must comply with every detail in the tax codes for three years after your offer’s acceptance. If you fail to file on-time and properly, you invalidate the agreement and restore your original obligation. Conversely, the more you take initiative to satisfy your obligations, the less the IRS will scrutinize your case. wealth complicates your tax situation. “The rich are different,” F. Scott Fitzgerald said. They work the tax codes to their advantage, and they pay less than most wage-earners. The greater your income, the more diverse your income streams, and the more shelters and hedges you employ, the more you must depend on a high-powered tax attorney. International transactions, commodities trading, family trusts, equity investments, annuities, tax-deferred accounts, and real estate transactions especially complicate taxes. If your income recently has increased dramatically, meet with a tax attorney right away, protecting your earnings in order to build wealth. The more complicated or desperate your situation, the more you need expert assistance. Make sure you secure the services of a well-trained, experienced professional, a person who does nothing but taxes all year long. Find a tax attorney through the local Bar Association, or check Angie’s List and other online networks for reputable accountants and enrolled agents. You will pay “professional” prices for expert help, but you may deduct the fees from next year’s return, and you probably will save more in taxes than you will spend for assistance. Next year, use your web tools for do-it-yourself tax preparation, and save time, money, and stress.